Today is Organize Your Home Day! In honor of this day, I have an interview with Janine Sarna-Jones, a talented professional organizer. And since many New Year's resolutions are about organization and de-cluttering, I interviewed her on this topic to help all the readers and learn about organization from a non-feng shui perspective. AC: When you see a disorganized home or office, how does it hold people back? JS: I do not judge a space by what I see. I can only determine that a home or office is disorganized by how the person feels about their space. Disorganized spaces hold people back in thousands of ways, both logistically and emotionally. Sometimes it is as simple as not being able to find stuff; in other cases the individual feels deep shame and incapable of inviting people into their space. What is the biggest benefit you've seen after organizing someone's home or office? It’s hard to pick just one benefit, but one of the biggest is the realization of an organizational system that is in tune with the way that individual thinks and operates. What are areas that are often overlooked? The key to getting organized is to start in the places you actually use. In my experience, rather than overlooking areas that need to be organized, people tend to focus their efforts on the least important areas. For example, begin organizing their attic rather than the desk they sit at every day. 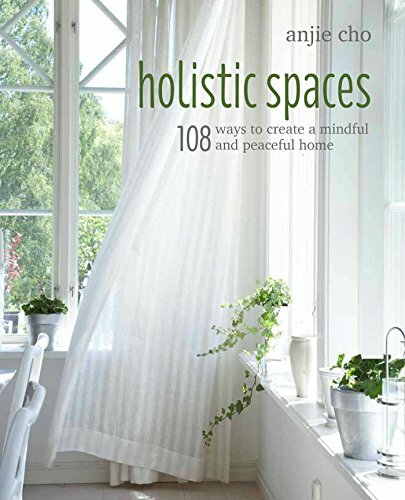 How have you created a holistic space for yourself in your home or office? For me, this is a work in progress. Living with my family, as I do in a New York City 2 bedroom apartment, creating a holistic space involves creating homes for everything and jettisoning things that are no longer useful. What are three simple tips that you can offer readers in beginning to organize their homes or offices to create a holistic space? 1. Stop thinking about organizing as a task you put on your To Do list and block off a Saturday to accomplish. Start working on small organizing projects, for example, one drawer. Daily! 2. Evaluate what you are keeping in your “prime real estate” areas. For example, do you have clothing you consider memorabilia (and you would never consider wearing again) hanging in your closet? Then put it in a container and move it to a less accessible place. 3. Let go of items that have outlived their purpose and/or no longer serve your needs. Janine Sarna-Jones is founder and president of Organize Me Inc. She is a Certified Professional Organizer® and an Evernote Certified Business Consultant and has been helping people get organized at work and at home since 1992. Janine has achieved the distinction of being a member of the Inaugural group of Certified Professional Organizers® (2007) and attained a CD Specialist Certificate from the Institute for Challenging Disorganization (ICD). As a member of the National Association of Professional Organizers (NAPO) since 2001, Janine has contributed her expertise in a variety of leadership roles. In 2007, she was elected to a three-year term to NAPO’s Board of Directors and served two terms as President of the NAPO-New York Chapter from 2005 to 2007.